Skuas making off with stolen Adelie Penguin egg. 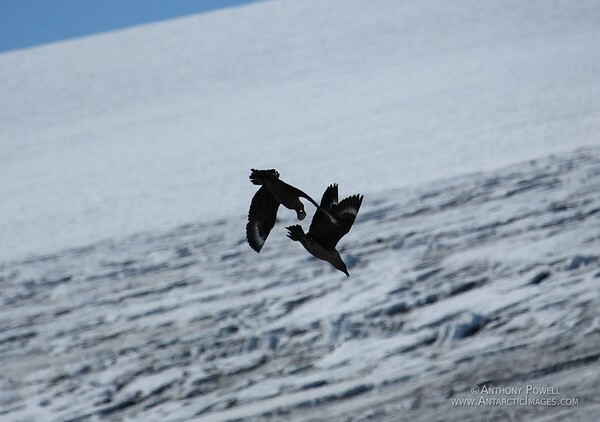 Skuas will often work in pairs when preying on nesting penguins. One will distract the penguin while the other steals the egg.